Son of Brazilian President-elect meets Jared Kushner, reiterates that Brazil's embassy will move to Jerusalem. "We have never had politicians with such faith in their hearts and what is happening now in Brazil with the election of Bolsonaro is a symptom of what is happening in the Latin world at large,” said Kiroa. 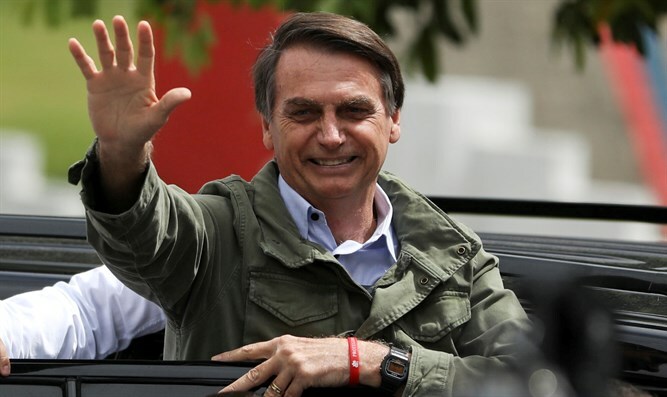 Reports last week indicated that ambassadors from Arab countries are slated to meet with Bolsonaro in order to convince him not to relocate his country’s embassy to Jerusalem.